Humanity is pretty much alive. How society rejects stories spread by right wings and at the same time restored faith in humanity. 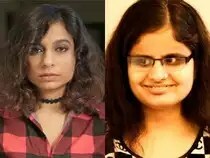 One winner happened to be visually-impaired Nikita Shukla, a third-year law student in Mumbai. An inspiring story has just begun. Nikita went to the Radio City office to claim her prize and like many others do, requested to meet the RJs. So I met her a few weeks ago. When Nikita refused and insisted on studying further, she was asked to leave the house. Father runs his own business btw. With the help of her friends, professors, and a few small scholarships, Nikita is currently residing at a hostel and is pursuing to be a lawyer. Enough for her to pay her fee little by little. She’s borrowed from friends, sometimes kind professors even. A few small scholarships. But money was not enough to afford the luxury of three meals a day. For 3 years, Nikita has been surviving on only dinner. 20 a month. Tyagi also stressed the point on how Nikita didn’t visit the radio channel to tell her story and just came to claim her prize but in the process went on the record to tell her story after being insisted to. Tyagi who hosts the show Mumbai Masala reached out to her listeners and narrated Nikita’s story after which she received tons of messages, calls, and cheques! The Ketto page was started BY Ketto after they saw my tweets too, and this would be the best way to help her, with a titled Titled “Help Nikita Shukla become a Lawyer”, the goal of the campaign is to collect 5,00,000 in 14 days.